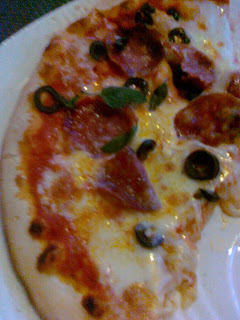 On Friday the 24th we went to Il Piatto with the sole purpose of enjoying what they do well. That is pizza, ambience and a view of the sunset. The wine list had some nice selections on it so we had Jansz schparkling and 9th Island Pinot Gris to follow. Both were delicious. We had one of each of the 5 pizzas on offer between the 6 of us and that worked really well. 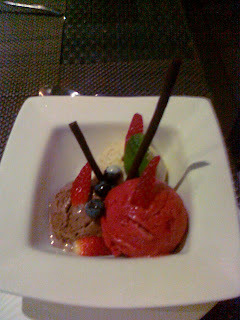 We also had some desserts. The bases of all of the pizzas are light and crisp and obviously made on site. 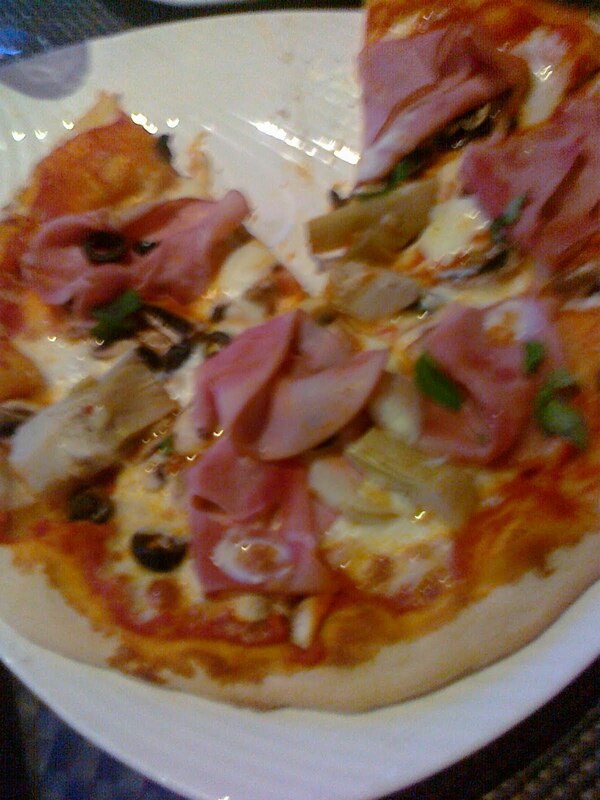 The quattro stagioni, or 4 seasons was perhaps a favourite, the ham was moist and had really good flavour. 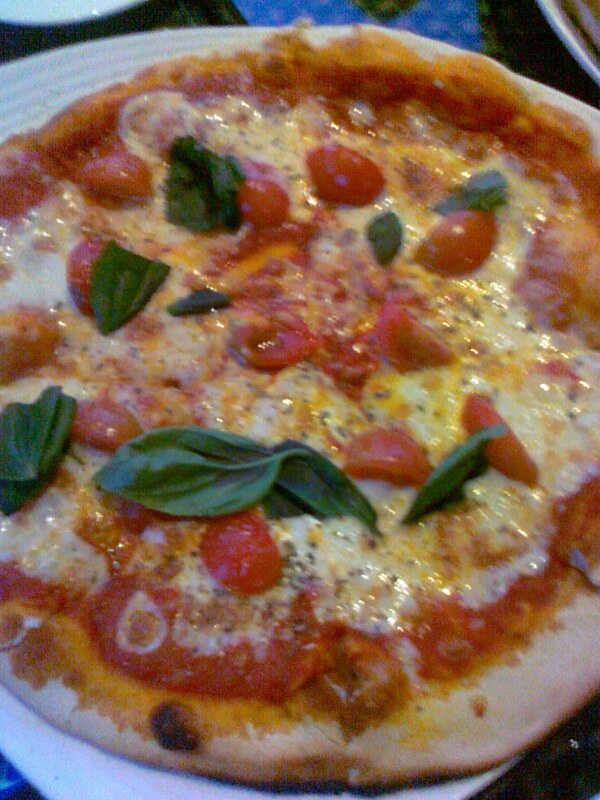 The margherita was divine in its simplicity. Fresh tomatoes, basil and cheese. 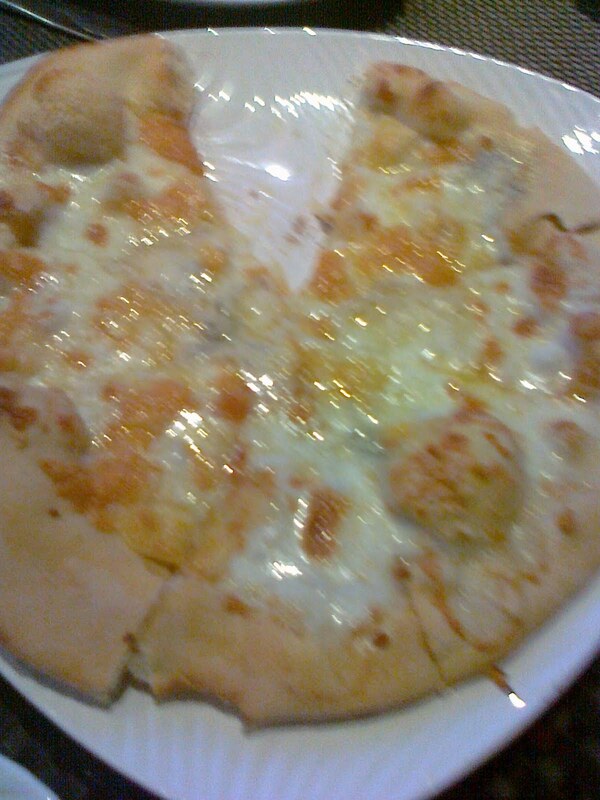 We also had the quattro formaggi (4 cheeses). Some delicious goat cheese and three others made a really luscious pizza topping. The salami on the siciliana really stood out as a quality ingredient, it was tender and had a nice amount of garlic in it. 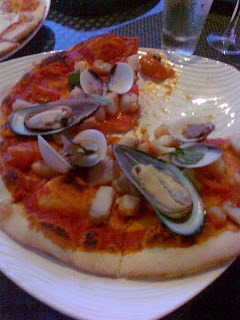 I didn't have the frutti di mare (seafood) one but it was all really big pieces of seafood - mussels, clams, prawns and fish - with no cheese just lots of fresh tomato sauce. The desserts were delicious as well. I didn't get photos of all of them but the almond parfait and the three scoops of home made ice cream were real winners! I would also recommend the pistachio panna cotta with strawberry sheets, caramelised pop corn and saffron anglaise. The stand out dessert for me, however, were the the lemon curd donuts. On the 10th of June my work colleagues and I did our yearly team-building cycle. This year our destination was Caf Parap for brunch. I'd not been there before, it's on Parap Road near where the old Tai Hung Tol was. I'd heard it was very small, but we got there to find they had recently expanded, so our group of twelve fit well. 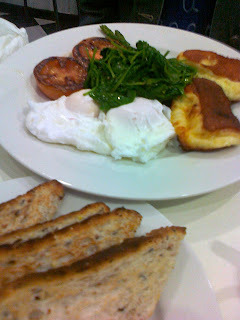 The menu has a great variety of sweet and savoury breakfast/brunch dishes. They make all of their own pastries, bit of a French influence going on. Their coffee is good and they serve loose leaf tea in pots for one, two or three. The dish that was highly recommended was the french toast and it didn't disappoint! It is served with banana and mango. 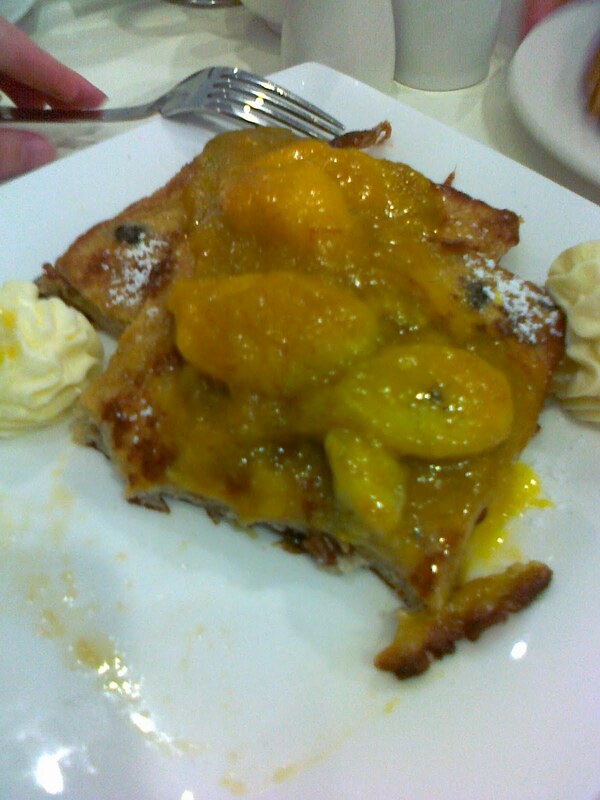 The toast itself is fruit toast, so the combination of the spices in it with the warm fruits was really lovely. 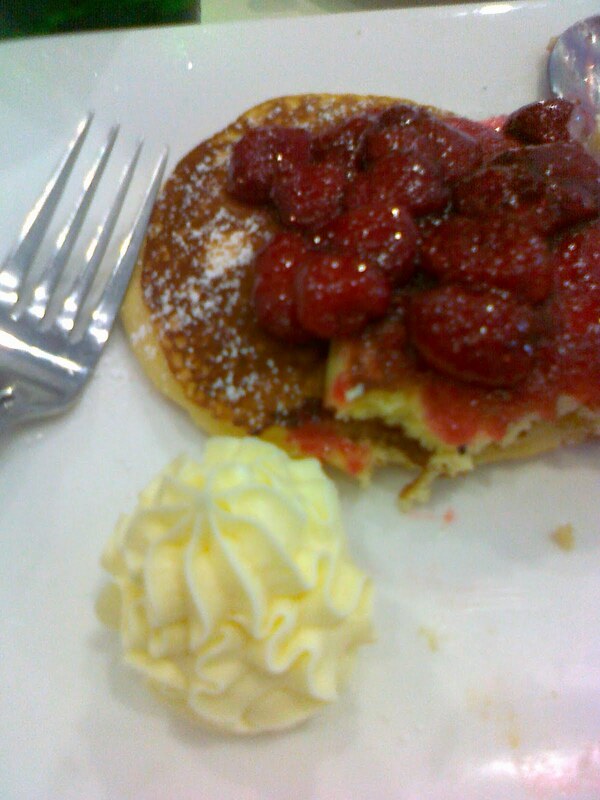 I had the short stack of pancakes with berry coulis and creme anglaise. 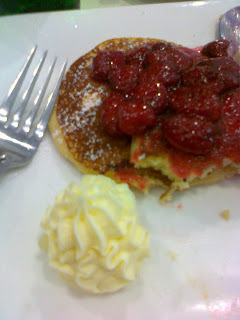 To my delight, the berry coulis also had some lovely tart rhubarb in it. There were also some fabulous club sandwiches that a couple of colleagues couldn't finish they were so generous. I suspect that if we hadn't been cycling back to work, those sandwiches would have done for lunch too! There were so many options with eggs, from fancy eggs like eggs benedict to eggs how you want them with an enormous range of add-on sides. One colleague chose haloumi, tomatoes and spinach to go with hers. 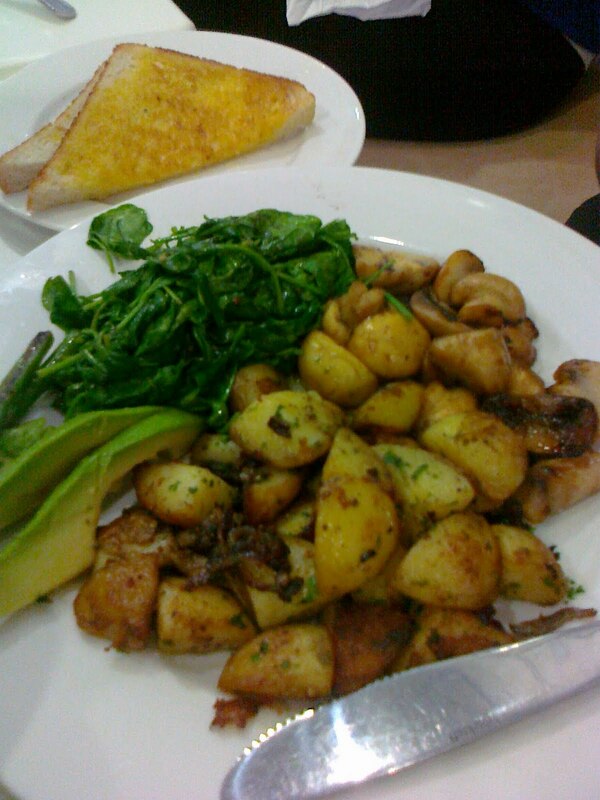 Another colleague went totally vegan with her choice of a combination of sides, including farmhouse potatoes, mushrooms, avocado and spinach. 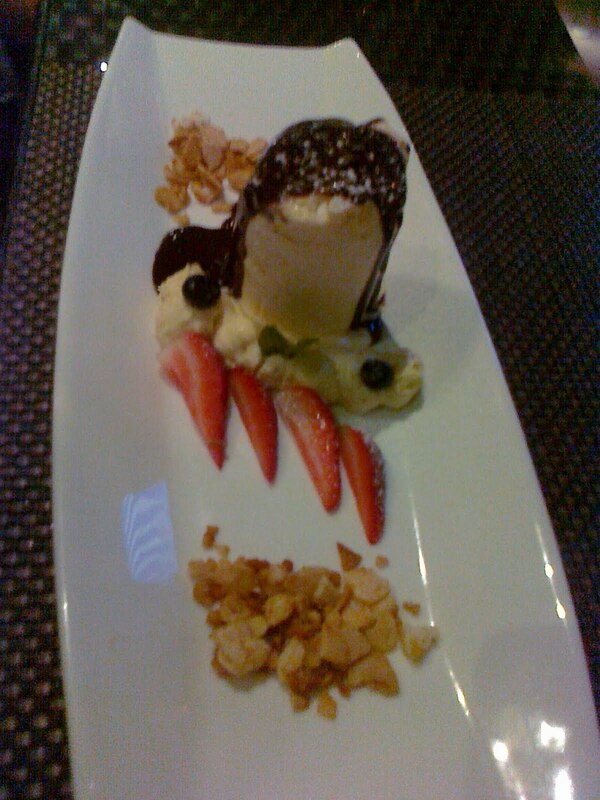 Last Sunday I went with my friend David to a restaurant in town called Hom. It's across Mitchell Street from the Tap bar. The restaurant has lovely soft ambient lighting combined with wood patterned laminated tables. The menu offers a good variety of dishes, but I must admit, I was there for one thing only (well maybe two! 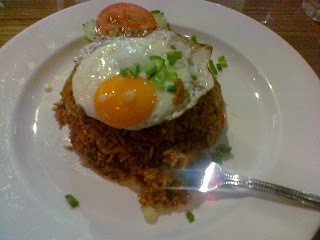 ), the Nasi Goreng. David had said it was just like they serve it in Bali. I was not disappointed, it was delicious! 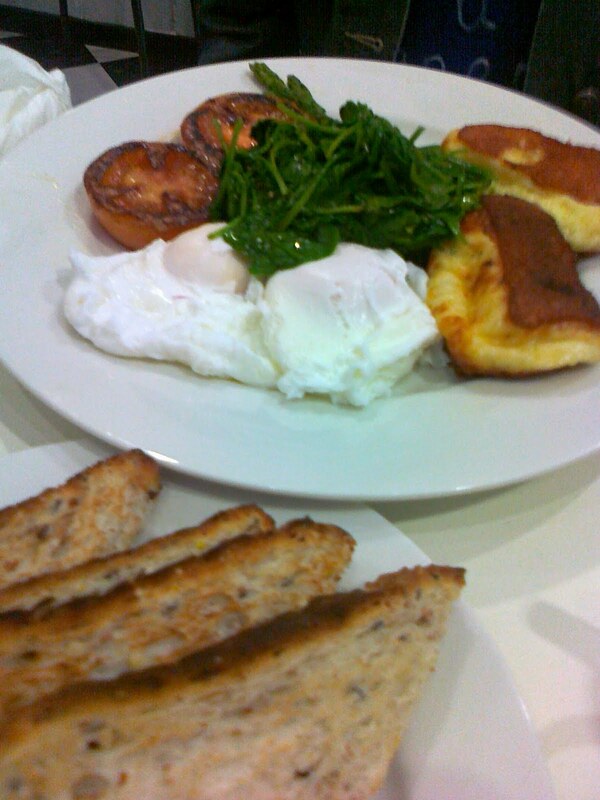 It came complete with a fried egg on top. You can choose what meat you'd like through it, I had chicken in mine and it was tender and well-cooked. They have a small selection of wines by the glass, I had a tasty Sauvignon Blanc.